[toc]For women belonging to a specific age group, menstrual cycle is an inevitable part of life. Menstrual cycle affects the hormonal balance of the body and also the mood. In brief, it affects a woman physically as well as mentally. Irregular menstrual cycle, on the other hand, can cause various problems, such as polycystic ovary syndrome and even infertility. For these reasons, it is important to take steps that will regularize your menstrual cycle. It is important to understand that the reasons behind irregular menstrual cycle can be both physical and mental. Therefore, it is crucial that you pay attention to both these factors for living a healthy life. Here are few tips that will help you to regularize your menstrual cycle. If you are suffering from irregular periods, it won’t be possible for you to understand the reasons behind it by yourself. Visiting a doctor, therefore, would be a good idea. 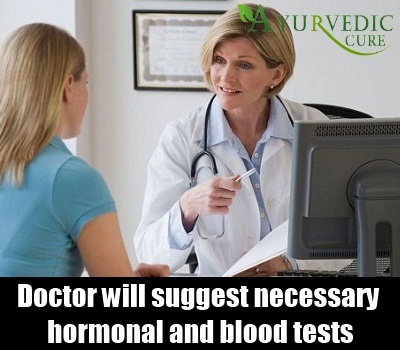 A good doctor will suggest you to undergo necessary hormonal and blood tests. Once you get the reports, it will be easier for your doctor to understand the reason behind irregular periods and offer suggestions accordingly. Obesity is a major reason why many women experience irregular periods. If you are overweight, it is crucial that you lose weight. Start by including healthy and low calorie foods in your diet plan. 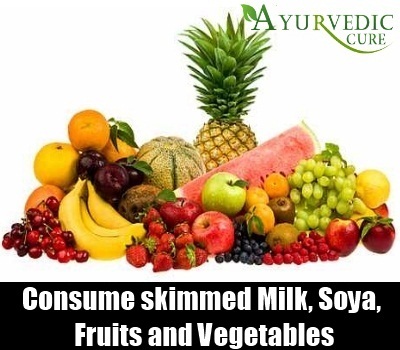 These can include skimmed milk, soya, fruits, lean protein, vegetables and nuts. You should also avoid drinking high calorie drinks and fruit smoothies. Instead, stick to plain water, sugar free drinks and coconut water. A sedentary lifestyle is one major reason why many women experience obesity. It is crucial to consider the fact that apart from eating healthy foods, exercising regularly is important as well. You can do any exercise you like. These can range from walking to swimming, dancing or hitting the gym. Ideally, you should exercise for 30 minutes at least 3-4 days a week. Also, if you haven’t exercised before, it is better to start exercising slowly. Stress is another reason behind irregular periods. Excessive stress can cause irregular periods or even stop it completely. If you think that you are getting too much stressed these days, try to deal with it in a positive way. Some effective strategies for reducing stress would be to do your favorite activity, managing your routine perfectly and not bringing work at home. If necessary, you can discuss the issues you are facing with a counselor as well. If you are suffering from irregular periods, including herbs in your eating plan can be a good idea. 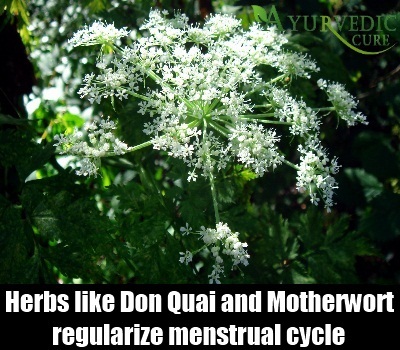 Some effective herbs that may help you to regularize your menstrual cycle can include skullcap, dong quai, motherwort and aloe vera juice. You can add these herbs in water or tea and have them. In case you don’t have so much time, ask your doctor to prescribe some supplements to you. Implementing these tips can help you in regularizing your menstrual cycle.